MDR Bud Light Dash Photo Jihad! 10% off for the next 5 days. Event: Jan. 22-25 in Laughlin, Nev.
LOS ANGELES—Southern California two-generation desert race team Wilson Motorsports will have four entries featuring three brothers and two of their sons in Saturday’s computerized start draw for this month’s 15th annual SCORE Laughlin Desert Challenge. 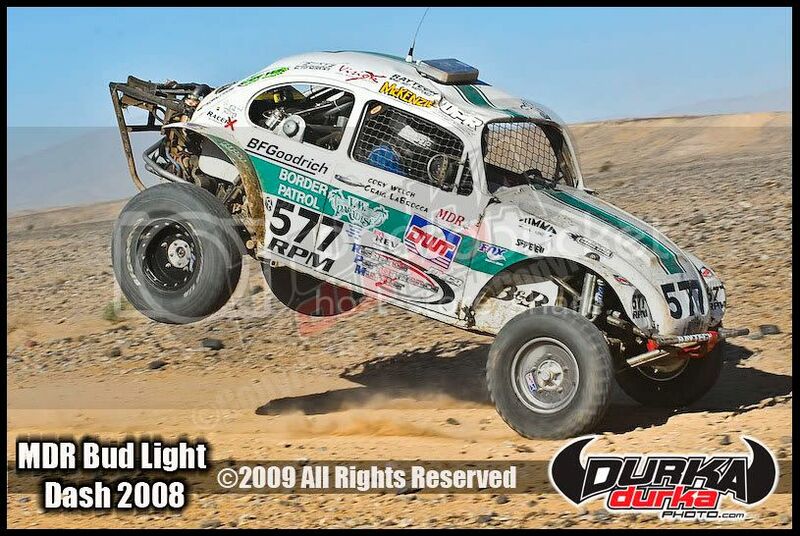 For the 15th straight year, motorsports fans and racers from across the United States, Mexico, Canada and Japan will gather in Laughlin, Nev., the desert resort town near the shores of the Colorado River, for the popular SCORE Laughlin Desert Challenge. 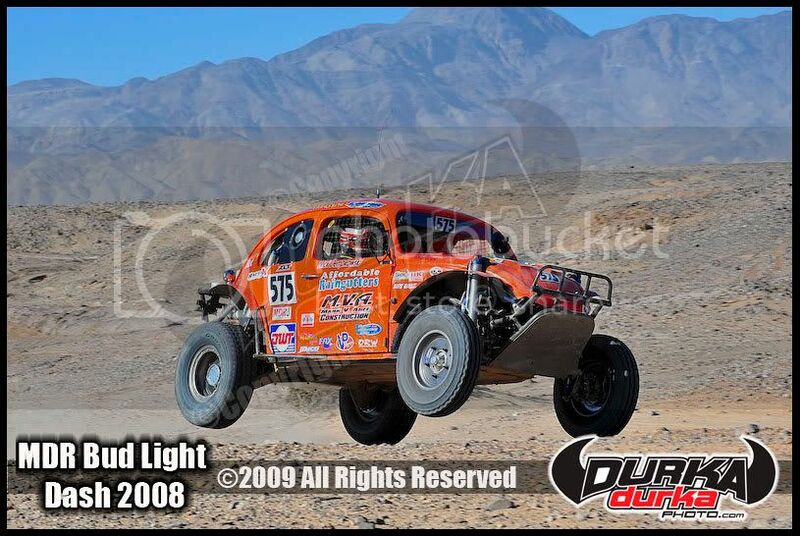 The first major motorsports event of the year will be held Jan. 22-25, launching the five-race 2009 SCORE Desert Series, the World's Foremost Desert Racing Series. With late entries accepted until race morning, among the other early entries who will be part of Saturday’s drawing is NASCAR team owner/driver Robby Gordon along with defending SCORE season point champions B.J. Baldwin (SCORE Trophy-Truck), Kevin Carr (Class 5), Marcos Nunez (Class 5/1600), Dan Chamlee (Class 7), Heidi Steele (Class 7SX), Mike Lawrence (Class 10), Rick St. John (SCORE Lite), and Peter Lang (Sportsman Car). 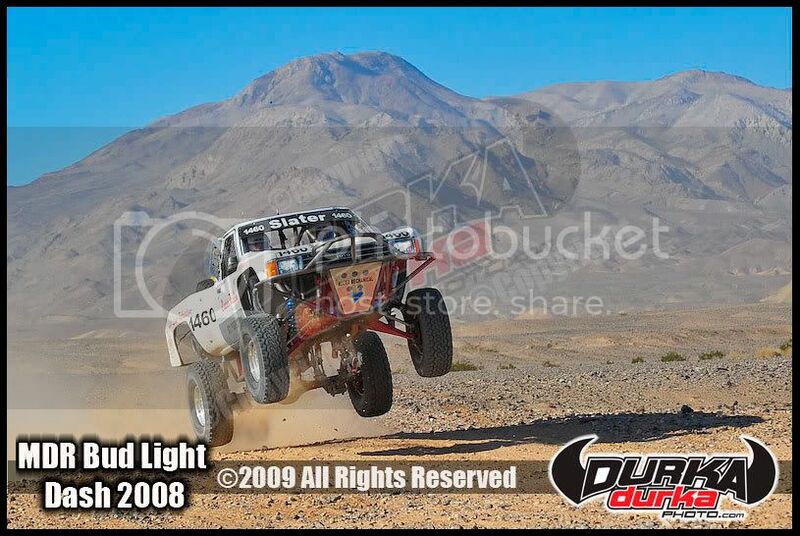 Also entered is defending SCORE Laughlin Desert Challenge Class 1 winner Pat Dean of Las Vegas. 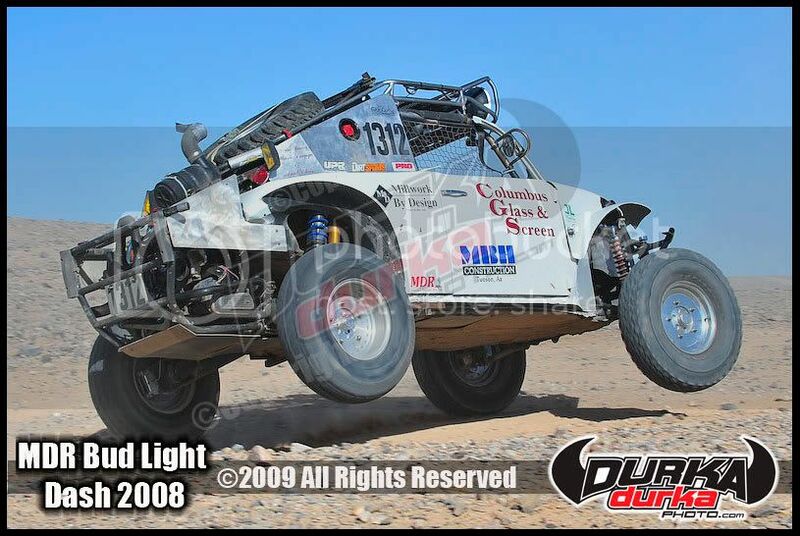 Over 150 expected entries will compete in 17 classes for cars and trucks for nearly $400,000 in prize money and contingency postings during the four-day SCORE Laughlin Desert Challenge. Based in Long Beach, Calif., Wilson Motorsports entries in Laughlin will include veteran racing brothers Rick Wilson, 56, Randy Wilson, 50, and Ronny Wilson, 46, who will drive two vehicles in the unlimited Class 1. Cousins Brian Wilson, 23 (Rick’s son), and Brad Wilson, 15 (Ronny’s Son) are both drivers of record in Class 1-2/1600. The computerized drawing for starting positions within each class will be held for all pre-registered entries on Saturday at the Los Angeles headquarters of SCORE International. Rick Wilson, the oldest of the three brothers who lives in Long Beach, Calif., is listed as a back-up driver for both of his brothers in Class 1. 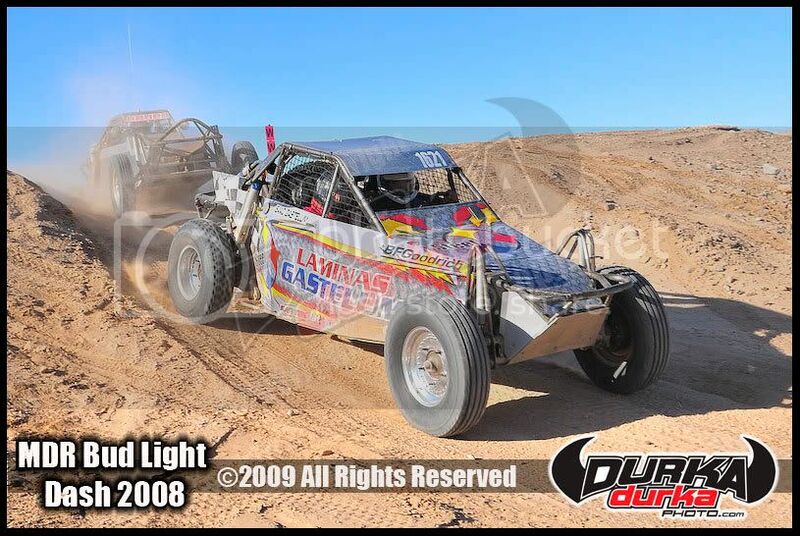 Randy Wilson, Lakewood, Calif., and Ronny Wilson will be the drivers of record in near-identical Jimco open-wheel desert race cars powered by Chevy motors built by Las Vegas’ Wiks Racing Engines. 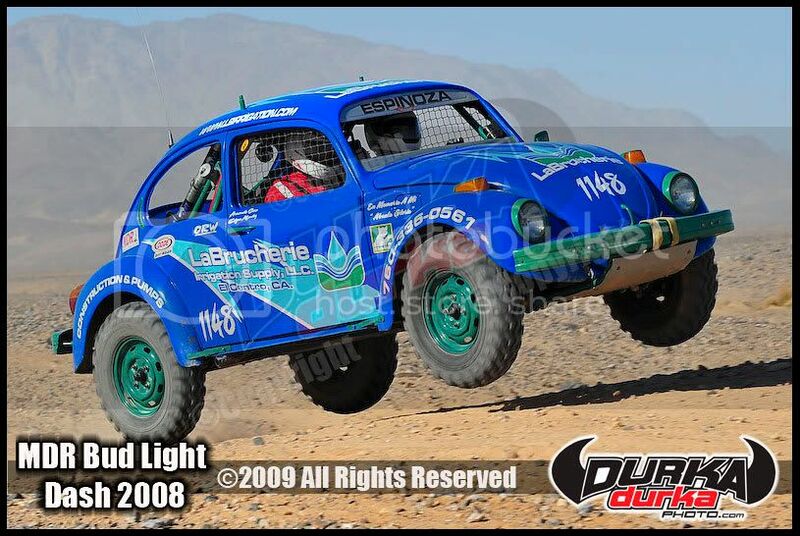 In Class 1-2/1600, Brian Wilson, Long Beach, will share driving with prominent Las Vegas desert racers Sammy Ehrenberg in a Kreger-VW while his cousin Brad Wilson, also of Long Beach, will drive a Penhall-VW with co-drivers Justin Munyon and Brian DeNault, both of San Clemente, Calif. 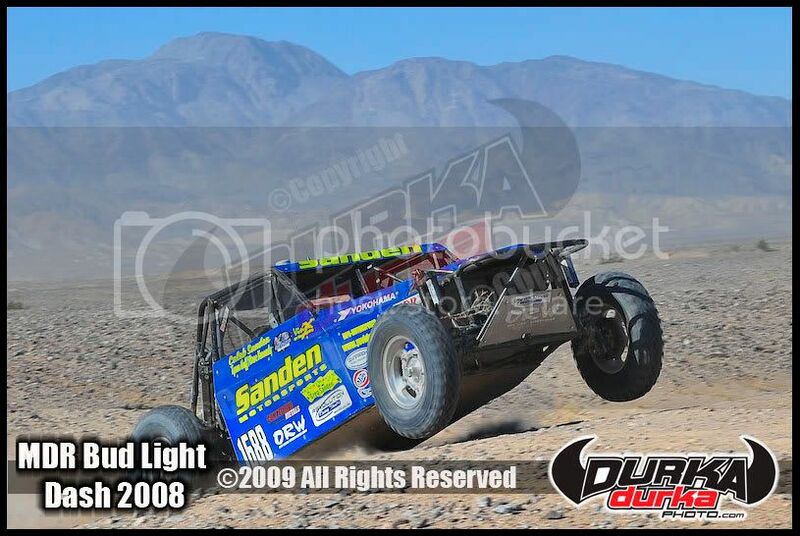 Besides Wilson Motorsports, the sponsors of all four vehicles are Paragon Acoustical, BFG Tires, King Shocks, Fortin, McKenzies and DirtBagz. Additional sponsors on both 1-2/1600 race cars is Folts while an additional sponsor of Brad Wilson’s car is Penhall Fabrication. With 17 classes of cars and trucks divided into five groups, the single race is divided into multi-lap segments split over two days. Starting at 7 a.m. on both Saturday and Sunday (Jan. 24-25), the featured SCORE Trophy-Truck division will run 8 laps at 1 p.m. each day followed by the unlimited Class 1 open-wheel desert race cars who will run their 8 laps at 3 p.m. each day. The combined elapsed time and number of laps completed from both days will determine the final finishing position for each vehicle. Two vehicles will leave the start line every 15 seconds. Daily general admission tickets, good for grandstand seating, are $20 each per day for Thursday, Saturday and Sunday, children five and under are free. Daily VIP tickets are $40 each per day for the three days, good for admission to the Laughlin Hospitality Chalet, including food, beverage and special seating. The stadium seating area will include the immensely popular SCOREvision Large-screen LCD display, showing live footage from virtually the entire race course. Tickets, priced at $5 each, will also be available each race day (Jan. 24-25) for 'SCORE Hill', which overlooks the infield, start/finish area and the main pits. The SCORE Hill will have grandstands and standing room areas along with vendors, concessions and the other public safety services available. The newest spectator area, opened last year adjacent to Laughlin High School off of Cougar drive, allows entry at $10 per vehicle, as space allows, to the backside of the course with a view of much of the 6.25-mile loop. Tickets for the Laughlin High spectator area will be available only on each day of racing (Jan. 24-25). One of the event's most popular features, the SCORE Laughlin Leap, revs up the fun and gets the weekend off to a roaring start at 6 p.m. on Thursday (Jan. 22). Drivers will enjoy the spotlight at the Laughlin Events Park, competing for a $16,000 purse and the honor of beaing the 2009 champions. The SCORE Laughlin Leap, a dirt ramp built into the middle of the stadium portion of the race course, challenges the most daring of drivers. This year's competitors will be attempting to break the event record in the SCORE Laughlin Leap of 160' 6" set in 2004 by Mark Post in the No. 3 Riviera Racing Ford F-150. Advance tickets for the Laughlin Events Park are now on sale at www.visitlaughlin.com or by calling 800.308.2233. For the second straight year, qualifying for starting positions for the marquee SCORE Trophy-Truck division will be held the Friday (Jan. 23) before the race. With free admission to the grandstand seating area, SCORE Trophy-Truck qualifying will be held from 1:30 p.m. to 3:30 p.m. and each truck will be timed over one solo lap of the 6.25-mile course to determine the start order in that class for Saturday’s first half of the race. Since its debut in 1995, the SCORE Laughlin Desert Challenge has helped establish Laughlin as a viable host for special events. Thousands of spectators join over 150 racers and their crews in converging on the city each year to watch the best of the best desert racers compete in a unique-format, two-day race that includes a temporary stadium surrounding the start/finish line area and the main pits. Friday's pre-race activities will also include the SCORE Manufacturer's Midway and vendors village from 9 a.m. to 4 p.m. SCORE Contingency, which includes each vehicle being pushed down the street in front of the displays, will be held for the second straight year on Bruce Woodbury Way at Casino Drive. A total of 17 different classes for cars and trucks are split into five groups, each running as part of multiple-lap races over the much-abbreviated 6.25-mile loop each day. Racing action runs from 7 a.m. to 5 p.m. each day (Jan. 24-25). 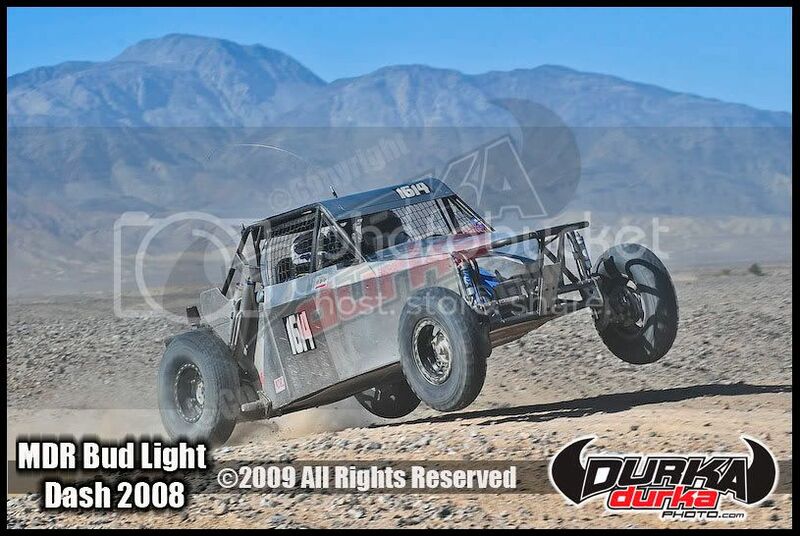 The marquee racing division is SCORE Trophy-Truck, featuring high-tech, 800-horsepower, unlimited production trucks along with unlimited Class 1 for open-wheel desert race cars. The other classes with the largest entry fields will be Class 10, Class 1-2/1600 and SCORE Lite. 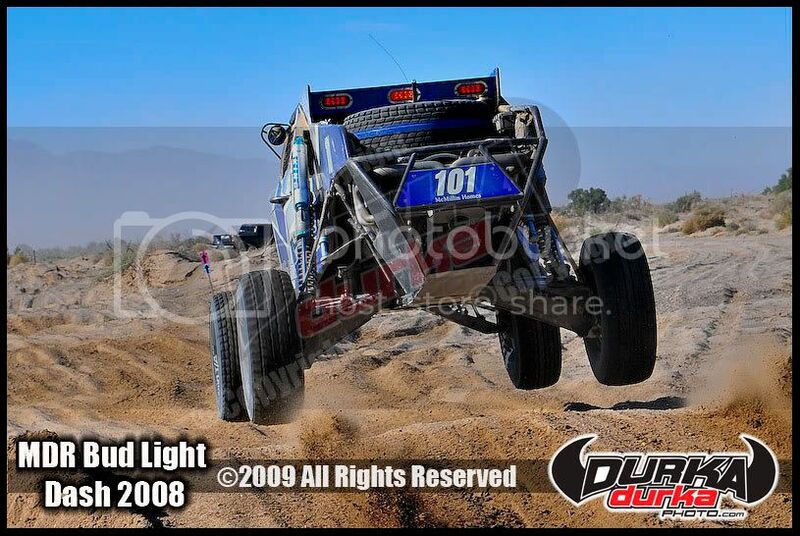 The Laughlin Events Park, with grandstand seating, vendor's village and food court is just minutes from the destinations nine resorts and includes an infield with switchbacks, woop-t-doos, minijumps and the SCORE Laughlin Leap. The 15th annual SCORE Laughlin Desert Challenge is sponsored by the Laughlin Tourism Council, the Laughlin visits Bureau, the Las Vegas Convention and Visitors Authority in association with Las Vegas Events. The race is sanctioned and produced by SCORE International of Los Angeles. Current SCORE official annual sponsors are: BFGoodrich Tires-official tire, Volkswagen of America-official vehicle, Sunoco Race Fuels -official fuel supplier, Bilstein-official shock, Instant Mexico Auto Insurance-official Mexican auto insurance, Slime-official tire sealant and Red Bull--official energy drink. Associate sponsors are: Tecate Beer, Coca-Cola of Mexico, Las Vegas Events, Terrible Herbst Inc., Blue C Enthusiast Advertising, Off-Road, American Suzuki, SignPros, P.C.I. Race Radios, McKenzie’s Performance Products and Advanced Color Graphics. More event information is available at www.visitlaughlin.com. We just set up a projects section on the FMI site ( www.FoutzMotorsports.com ) for people to see the stuff we are working on. I just loaded the build stuff from the Raptor, our Fabtech F250, some stuff from the Swift Ranger and the video game simulators we built…. I thought people would like to see that stuff and how we did them. Spread the word please. MEXICO CITY (AFP) — Mexican billionaire Carlos Slim has not bought the Honda Formula One team and is not even in negotiations for the Japanese outfit, a source at the businessman's industrial and financial empire said on Sunday. "There is no deal for the Honda team. There is neither agreement nor negotiations," the source told AFP on condition of anonymity. Honda, with an annual racing budget of around 400 million dollars, pulled out of the Formula One world championship earlier this month and was put up for sale with the Japanese manufacturer struggling in the current global economic slowdown. Earlier Sunday, Slim's son had also told the Mexican media that reports of a deal to save Honda were also without foundation. On Saturday, Italian newspaper La Stampa claimed that Slim, who they described as the world's second richest man, was poised to buy the Honda team. "The saviour has arrived at the last minute: Carlos Slim, 67 years old, the second richest man in the world," said the newspaper. "The news is not official as all the details have yet to be formalised. But two things are certain - the team has been saved and the drivers will be Jenson Button and rookie Bruno Senna in place of Rubens Barrichello." La Stampa, which did not identify the source of its story, added that Senna, the nephew of former triple world champion Ayrton Senna, is sponsored by Embratel, part of Slim's Telmex group. Honda first competed in F1 in 1964 and clocked up three Grand Prix wins, including Button's in Hungary in 2006. Its engines were also behind dozens of victories by stars such as Nelson Piquet, Ayrton Senna and Alain Prost. The team finished ninth in the constructors championship this season with 14 points. Veteran driver Barrichello achieved the team's best result with a third-place finish at Silverstone. Honda Motor also supplied engines and other technical support to Formula One team Super Aguri, which called it quits due to financial problems in May. Motorsport in Japan had been particularly hit by the recession with Subaru and Suzuki pulling out of the world rally championship. ROME: Mexican billionaire Carlos Slim, the world's second richest man, has rescued the Honda Formula One team, Italian newspaper La Stampa reported on Saturday. "The saviour has arrived: Carlos Slim, 67 years old, the second richest man in the world," said the newspaper. Honda, believed to have an annual racing budget of around 400 million dollars, announced earlier this month that they were pulling out of Formula One as a result of the global financial meltdown. La Stampa, which did not identify the source of its story, added that Bruno Senna, the nephew of former triple world champion Ayrton Senna, is sponsored by Embratel, part of Slim's Telmex group. Honda first competed in F1 in 1964 and clocked up three Grand Prix wins, including Jenson Button's in Hungary in 2006. Its engines were also been behind dozens of victories by stars such as Nelson Piquet, Ayrton Senna and Alain Prost.